Five people on a Christmas Eve trip to Key West, Florida, died Sunday morning when their small plane crashed shortly after takeoff, authorities said. 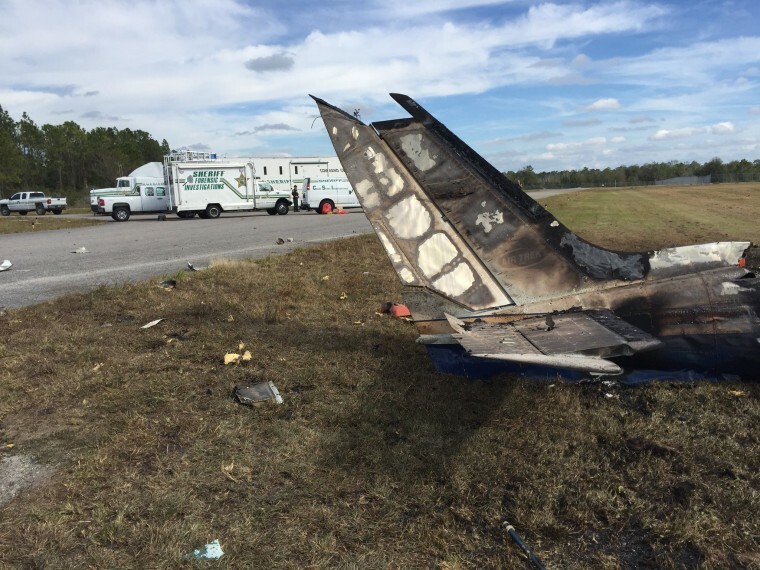 Polk County Sheriff Grady Judd identified the pilot as a local lawyer, John Shannon. He'd taken off at roughly 7:15 a.m. from Bartow Municipal Airport, east of Tampa, with three relatives and a family friend aboard a twin-engine Cessna 340, Judd said. After taking off, the plane came down on the airport’s east runway in what Judd described as a “horrific” crash. Two of Shannon’s daughters, Olivia, 24, and Victoria, 26, died in the crash. Victoria’s husband, Peter Worthington, 27, and a family friend, Krista Clayton, 32, were also killed. Judd described Shannon as an accomplished pilot and said it was unclear what caused the crash. But he added that the weather was foggy "and not conducive for taking off." The family planned to take a day trip to Key West before returning later Sunday, Judd said.